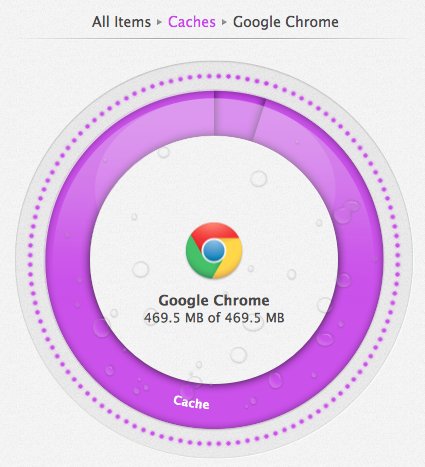 Washing Machine increases your Mac's speed and performance by scrubbing away old and unused files that bog it down. It also helps you recover disk space by locating unnecessary duplicate files that could be wasting space. Washing Machine also helps you organize your Mac to increase your productivity and keep your Desktop clutter free. Once your download has completed, double-click the WashingMachine.dmg file. By default, this file is located in your Downloads folder. Please check your web browser preferences to confirm the location of downloaded files. Now, simply double-click on the Washing Machine Installer. Next, click on Install Washing Machine. This will guide you through installing the application. You will be presented with a License Agreement and be asked for your computer's Administrator password. Once Washing Machine has been successfully installed, you will see the following screen. Enter your name or company and your serial number. These fields are both required. If you purchased a downloadable version of the software, your serial number was sent to you in an e-mail confirmation. When you have entered this information, click OK. The program will now open. Washing Machine offers an evaluation mode for all to discover how the program works before you make your purchase. To use the evaluation mode, click "Evaluate" when the registration screen displays. When Washing Machine runs in evaluation mode, it is functional for 30 days. Intego provides a demonstration version of it's software so users can try out the application to see if the software is compatible with their Macs and their needs. The demonstration version is provided as an example of the program's features and functions, with the exception that the demonstration version cannot Clean or Tidy your computer. At the end of this period, you can either purchase a serial number for the application or uninstall it from your computer. You can find out how much time is left in your evaluation session by displaying the 'About Washing Machine' screen. To do this, select About... from the Washing Machine main menu in the top left corner of the computer screen. The About screen tells you that the program is in evaluation mode, and shows the time remaining. 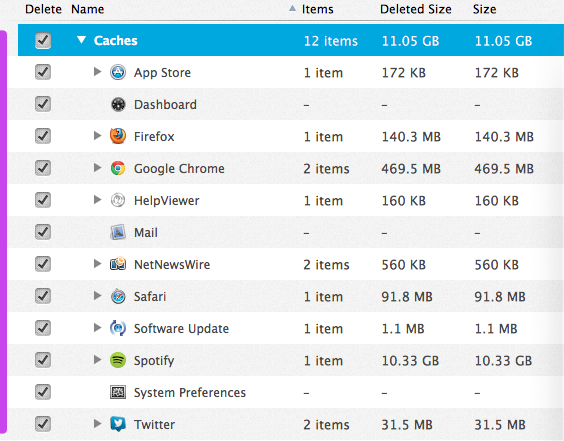 The main overview window gives information about how much free space you've cleaned from your Mac using the application. You can start a clean cycle by selecting it from the top left corner of the window. Reclaim - This cycle seeks out files you no longer use or need and quickly cleans them from your machine, freeing up space and boosting your Mac's performance. Duplicates - Washing Machine is the only Mac cleaner that can find all duplicate files on your Mac. It is the only cleaner available that identifies duplication files by analyzing their bits. Other programs locate duplicates by analyzing timestamps and file names, missing those files that have different timestamps or files that have been renamed. Organize - This cycle is your key to an optimized Desktop organized for efficiency. Keep your Desktop clutter free, organize your Dock with the applications you access most often, and create Smart Folders to quickly access frequently used files. Each section is covered in more detail in the next chapter. Caches - Cache files are created by applications to save reusable information. Removing an application's cache files can improve performance and free up disk space. Downloads - Files downloaded from the Internet are often found in this folder including installer (.DMG) files. These files are temporary files that are only needed to install, but not run, an application. If you have other types of files in this folder such as MP3's or image files, you should consider moving them to another location on your computer such as your home directory's Pictures and Music folders. Languages - Applications sometimes include support files to translate the text into other languages. If you do not speak these languages, consider removing these unnecessary files. Logs - Log files track an application's interactions with your computer. This information is often used to track down errors the application may encounter. Trash - Deleted files are sent to the Trash but not removed until you explicitly empty it out. After a couple of months, your Trash can resemble a landfill of wasted disk space. Washing Machine can help you empty it out. There are three 'Deletion Criteria' options you can choose from by using the slider on the bottom right side of the window. The Safe option will delete less information, while the Aggressive option will delete more files and clear up more space on your Mac. More detailed information about exactly what will be deleted for each category is visible directly below the slider. You can double-click any of the colored sections in the graph to get more detailed information about the files that have been found by the scan. This can help you visualize how much free space you can reclaim, and what applications and folders they are being deleted from. You can also use the list view on the left side of the window to see the size of each item. The list view can be sorted by any column. For example, you can use this to easily sort by 'Size' to see which sections are using up the most disk space on your Mac. Once you have selected the categories of files you would like to delete, and Reclaim the space these files are occupying, click the Clean button. Please note that once you Clean these files, they cannot be recovered. The Duplicates Cycle helps you locate copies of the files and folders on your Mac. Removing duplicate files is a good way to free up disk space. Washing Machine can find all duplicate files on your Mac and is the only cleaner available that identifies duplicate files by analyzing their bits. Other programs find and locate duplicates by analyzing timestamps and file names, missing those files that have different timestamps or files that have been renamed. Once you have clicked the Duplicates Cycle button in the top left corner, you will be presented with a list of categories that you can scan. Folders - Scan folders which may contain other files and folders with duplicates. Archives - Archive files combine several other files, they are most commonly used as backups. File formats include .ZIP, .TAR, .XAR, .DMG, and .PAX files. Movies - Any file formats that include videos and movies. Documents - Spreadsheets, text files, presentations, and other documents. Music - All sound and music file formats. Pictures - Image files such as .JPGs, .GIFs, .TGAs, and .PNGs. When you choose to search for Duplicates on your computer, you will see indicators of what types of duplicates are being found. Once the Duplicate Scan is complete, you will have the option to delete duplicate files. You can choose which duplicate files to delete, and whether or not to "Keep Earliest Files", "Keep Files on Macintosh HD", or "Keep All Files". Once you have made your selections, you will click the blue CLEAN button at the top of the window. Now you will see Washing Machine cleaning the duplicate files you selected. The Organize Cycle is your key to an optimized Desktop organized for efficiency. Keep your Desktop clutter free, organize your Dock with the applications you access most often, and create Smart Folders to quickly access frequently used files. There are three cycles to choose from. Organize your Desktop by sending documents, images, music, and movie files to either their appropriate home folders, a desktop archive folder, or the Trash. You can also let Washing Machine's autoselect feature do all of the organizing for you. You can organize your Desktop in three ways. Organize in Home Folder - Drag items to this section to place them in the proper locations depending on the file type. Organize in Desktop Folder - Move items to this section to create a folder on your Desktop where the items will be stored. Move to Trash - Drag items here to place any unwanted files and folders in the Trash. Organize the list of application icons available in your Dock based on how often you use them. You can drag to add or remove items from the Dock. Your new Dock will be displayed at the bottom of the window. Removing an application icon from the Dock will not remove the actual application completely from your Mac. It only removes the icon from the Dock. Create Smart Folders that automatically keep up to date. Once created, they're always available on the Favorites sidebar of a Finder window. Quick access to the files you use most often makes life easier. Smart Folders automatically bundle your most frequently used files and applications all in one place. To create a Smart Folder, simply drag an item listed under Available Smart Folders to the right of the window under Your Favorite Smart Folders. You can choose the order in which to display the Smart Folders in the Finder. Once you have organized the Smart Folders to your liking, click the Tidy button. In your Finder window your Smart Folders will now appear under FAVORITES. Blueprints are overlays in Washing Machine that explain what each clickable item does. You can view the blueprints by clicking the in the upper right corner of the screen you are viewing. You can also place your cursor under any slider in Washing Machine and you will see the icon. You can click this icon for information about what the slider does. The Washing Machine Preferences pane allows you to make changes to some of the settings which impact how the application functions. This allows you to personalize your experience. To open the Preferences pane, click the word Washing Machine in the top left corner of your computer screen (next to the Apple logo) and click Preferences in the drop down menu. You can also access Preferences from inside Washing Machine by pressing the Command and comma keys on your keyboard. Help Overlays: You can reset the help overlays so that they reappear when you launch the application again. If you are looking for basic instructions while using the application, this may be useful. Notifications: If you accidentally dismiss a notification and want to see it again, click here. Feedback: Intego software periodically collects information about how features are used to help improve their quality and reliability. All information collected is fully anonymous and cannot be used to personally identify any particular user or their behavior. Washing Machine can remind you when you have not scanned your computer recently. By default, you will be reminded every two weeks. You can change this setting to Every Month, or Every 3 Months. You can also disable this feature entirely by unchecking the box: Remind me about maintenance. The Advanced preferences let you modify how the Washing Machine scanner functions. This gives you more control over how the scanner and cleaning operations work. Dock: When using the Organize feature, Washing Machine will scan your entire computer for applications you frequently use. If you want to exclude applications located outside of the Applications or Utilities folders you can uncheck these boxes. Reclaim: When deleting Trash, Washing Machine will also delete Trash located on external devices. Uncheck this option if you only want to delete Trash from your internal Macintosh HD drive. For answers to our Frequently Asked Questions please click here. Still have questions about using your Washing Machine software? We're here to help! Support is available online via our website, live chat, or e-mail. You can also call us directly if you need assistance by phone.